This section will help you to answer some User’s Frequently Asked Question (FAQ), our deal is to provide you an immediate possible answer in order to make easier your visit to our website. You can see the cancellation policies clicking here. I have not received my confirmation yet, what do I do? 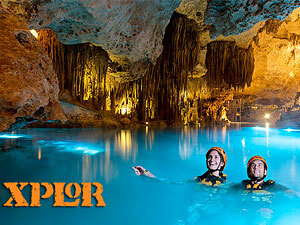 Send an email to info@cancunadventure.net with your name and your confirmation number. We also provide you assistance via chat, Contact Form and phone. My reservation details are not correct, how may I modify them? You can ask us to modify them via chat or telephone, sending us an email to info@cancunadventure.net or Contact Form adding on it your name, reservation number and the correct information. May I book even if I do not stay in a hotel? Of course you can, contact our Customer Service who will give you all the options we have for you. I forgot my service confirmation number, and now? 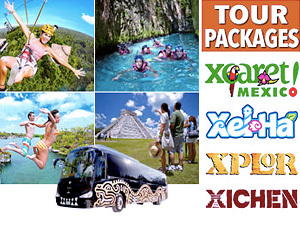 You can ask for your service confirmation number through chat, telephone or sending an email to info@cancunadventure.net or Contact Form with your name and the selected tour. May I pay my tour arriving to Cancun? 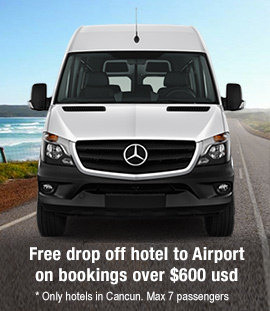 Of course you can pay once you arrrive to Cancun. In this case you will need to pay directly in our offices located in Cancun Hotel Zone, we do not have sales representatives at the hotels, you need to complete your book at least 24 hours in advance. Contact our Customer Service team who will provide the information requested via chat or phone. Bad weather, What will happen with my tour? Most of the tours can be operated down the rain, however in case that the activity is cancelled, we can offer you reschedule the tour or get a full refund. Cancun and The Riviera Maya has a semi-tropical climate, with an average annual temperature of 80ºF and can rise to 90ºF in summer. Cancun weather for an specific date cannot be forecast with more than a week in advance but the average time are good climate indicators that you can have during your visit. How far away are the tourist areas? Please consult our Distance Chart for Cancun, Riviera Maya and surroundings. Can you take me back to my hotel earlier than planned? At share or regular tours, you can return to your hotel before planned, however you will must to pay an extra rate for this option; in the case of the private services, it’s possible come back earlier without any problem. My child will do swim with dolphins activity for his own, May I stay there to see him/her? May I bring my camera to the water tours? Of course, except for Swimming with dolphins activities and Rio Secreto where cameras are not allowed. I have not a diving certificate. May I do the activity anyway? No problem, we have an special beginners program. Contact our Customer Service Team who will give you more information. What kinds of activities are recommended for children? What I must not forget to bring to my tour? Your confirmation letter, valid Id, extra money, sunscreen, swimsuit, beach towel, insect repellent, sunglasses and in some cases a cap or hat can be useful. May I climb the Pyramids? 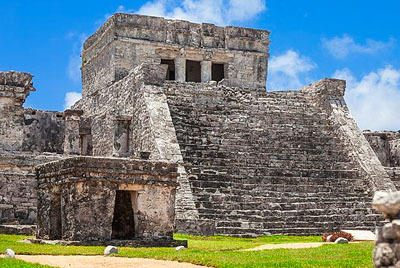 In Chichen Itza and Tulum Pyramids climbing is not allowed, however there are some Mayan Ruins as Coba and Ek Balam where climb is still possible. Yes, you can pay in USD with Visa, Mastercard or Paypal. In the case of payments with American Express, charges are done in Mexican Pesos at currently exchange rate. How may I know your currently exchange rate? You can consult our currently exchange rate contacting our Customer Service Team via chat or phone. What I do if I do not find my hotel into the pick up list? Please visit our Maps and Distances page or contact our Customer Service Team via chat or phone to find ther closer location to your hotel. Which is the vehicle capacity? What languages the tour guides speak? The tour guides speak English and Spanish. The transportation is not arriving to my hotel yet, what do I do? If the transportation is not at your hotel yet, please contact our Customer Service Team via chat or phone to verify the route of the unit. How will I recognize my Operator on my arriving at the Airport? Our Staff detection is a piece of cake for you; you will spot on arrival because they will carry a sign with your name on it. How early should I arrive at the airport for a flight? Which is the Van capacity? Our private vehicles can transport up 10 people. Does the transportation is private? Yes it is, our transportation service to the airport is private. Does the operator speak my language? The operators speak English and Spanish.